Generations Healthcare Network is the ideal choice for both short-term and long-term nursing care needs. 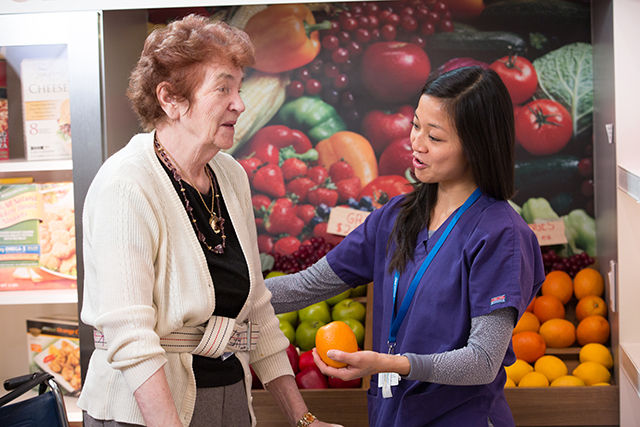 As a skilled nursing and sub-acute care facility, we provide advanced nursing competency with compassionate care in a family-like setting. Skilled nursing facilities (SNFs) are residences for those who need short-term care following a hospital stay or long-term nursing supervision because of health issues or disabilities. Residents are under the care of physicians, who visit regularly and are responsible for the residents’ overall plan of care. Who Should Participate in Skilled Nursing? Why Choose Generations Healthcare Network for Skilled Nursing? Our nursing staff is available 7 days a week and 24 hours a day, and we have a dynamic team of medical specialists on-call 24 hours a day. We work closely with each patient’s family and his/her physician to create an individualized treatment plan. Our interdisciplinary team designs a customized program based on your personal health goals, followed by ongoing support for a successful outcome. Which Communities Offer This Service?